PDFMate PDF Converter for Mac is a powerful 6-in-1 PDF Converter for Mac that enables Mac users to convert PDF to Word, EPUB, Text, JPG, HTML, and SWF format easily and accurately on macOS Sierra 10.12. With PDFMate Mac PDF Converter, uses can make full use of the original PDF document and get files in 6 different formats from PDF simply and quickly! • Mac PDF to word/text document converter. Transfer all kinds of PDF document as word/text file for secondly editing which is compatible for Windows, UNIX, and Mac . • Mac PDF to EPUB eBooks converter. Make your PDF file be more suitble for reading as an ebook. Turn your PDF to EPUB ebook format for reading easily on ebook readers. • Mac PDF to image JPG converter. 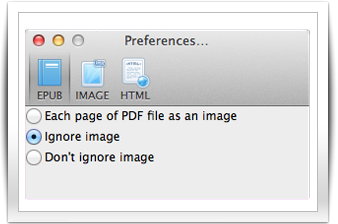 Convert your PDF document as image file, or extract images from your PDF document. keep a high quality to the converted images. 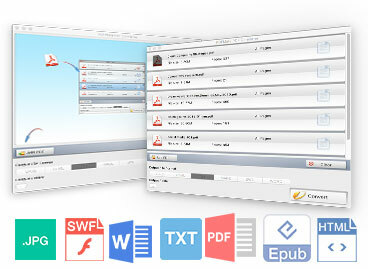 • Mac PDF to HTML and SWF converter. With this Mac PDF Converter, you can also convert PDF files to HTML Web page and SWF file without losing any original layouts, text content, images, and hyperlinks. •OCR Technology. PDFMate PDF Converter for Mac supports the function of converting and editing scanned PDF documents with bulit-in OCR technology. You can convert the texts and images extracted from image-based PDF to editable and selectable Microsoft Ofiice Word files. 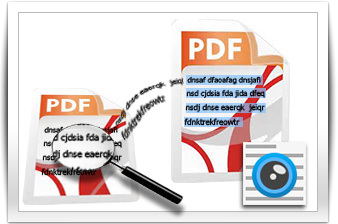 • Automatical detection of scanned PDF file. 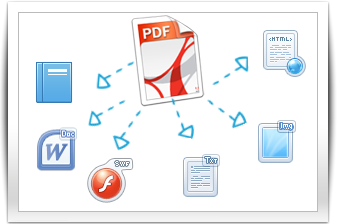 Detecting scanned PDF files automatically when you add PDF files. It will pops up a prompt dialogue box providing the options to enable OCR technology. Just want to convert some pages of a PDF file? Would like to make advanced settings to the output file? Don't worry, you can do all these with PDFMate PDF Converter. • Specify exact page or page range for conversion. PDFMate PDF Converter for Mac offers the option for users to specify a page or page range of PDF file for conversion, so that you can convert the pages you like with much convenience. • Personalize the conversion with advanced settings. Choosing the specific content or ignoring some part of PDF for converting is also supported. You are able to extract only images of the original files when converting PDF to JPG, make new content without images, hyperlinks when converting PDF to EPUB e Books, and choose to ignore images, hyperlinks, etc. to get your own HTML from PDFs. • Support Batch conversion. When you have lots of PDF files that need to be converted, PDFMate PDF Converter for Mac can be a big help. It allows batch conversion which means it processes at high speed when converting numerous PDF files to other format of files at one time. • Simple and brief program interface. The first time you see the Mac version of PDFMate PDF Converter, you would feel close to it. With the concise and user-friendly interface, you can be easily guided to convert your PDF to the output format you like in no time. It is as simple just as 1-2-3 click: Add PDF > Select output type > Click "Convert". • Built-in Help document. Whenever you want to check the details of the program, you can find the built-in help document for reading. • Preserve the quality as origin. No matter the amount of PDF files you'd like to convert to EPUB, Text, Image, HTML or SWF, you need no longer worry about the conversion quality as PDFMate PDF Converter for Mac converts PDF files without any original layouts losing. The output files are always super good and preserve original quality of images, text, vector drawings, etc. • Convert all languages of PDF files. PDFMate PDF Converter for Mac supports converting PDF files in all kinds of languages: English, Japanese, Traditional Chinese, Simplified Chinese, Korean, Latin, Turkish, Greek, German, French, Italian, Portuguese, Spanish, Russian, Polish, Czech, Slovak, Ukrainian, Bulgarian, Croatian, Romanian and etc.